On Wednesday I went to the high ropes course. When we were walking there Hector and Olly were singing another annoying song. When we got there we went on the low ropes while Angela got the high ropes ready. First on the low ropes we had to get on to some planks of wood but we were not allowed to go out from inbetween two logs. When we started it was a nightmare but then we began to work together. We found a long plank of wood. There was a rope hanging from the roof so we balanced the plank of wood against the logs. Everyone held it then we decided the lightest would go first;unluckily that was me. I had to walk across the plank, get to the rope and then swing over. Then I threw it back. After me everyone else took their turn. We also did an obstacle course on the low ropes where we had to balanace, swing and jump on and off other things; it was really fun. After the low ropes we went on the high course. I watched Eilidh and Eimear on the trapeze. Eimear got scared and slid off but Eilidh went for the trapeze. Sadly she did not make it. I went with Claire. She got scared and slid off but I jumped. Unfortunately I did not reach it either. Daisy was the only one who got it. There was a balancing beam which I also went on. 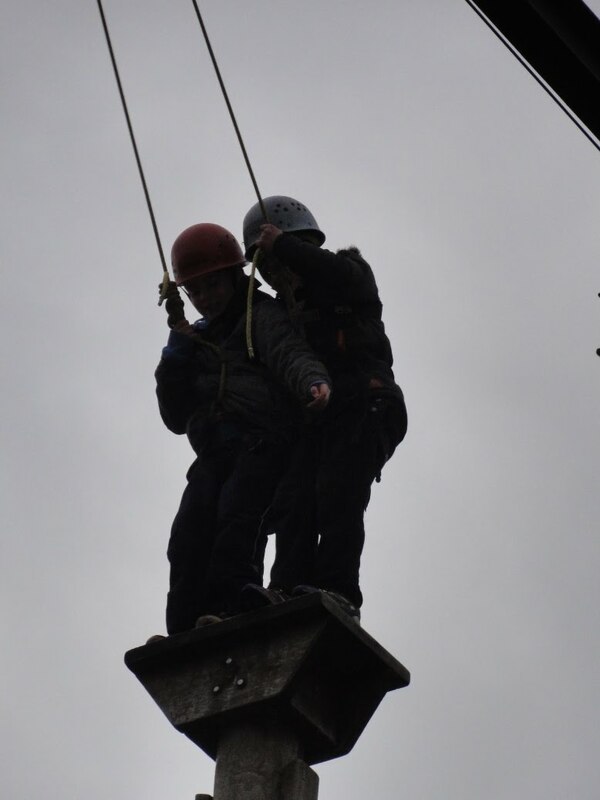 I was terrified at this because Hector was belaying me and he dropped me on the way down. The high ropes course was so much fun and something I will never forget.